Amazon has officially named Call of Duty: Modern Warfare 2 as the biggest selling pre-order video game of all time. 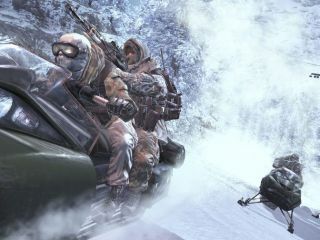 CoD: MW2 is one of the most eagerly anticipated games of the decade, and it has managed to become a massive hit before it even hits shelves according to Amazon. The online shopping giant points out that the game is currently at one and two in its bestsellers chart – with the Xbox and PS3 versions both selling in the thousands. This has pushed it past the previous pre-sales record holder Grand Theft Auto IV. "The level of interest in Call of Duty: Modern Warfare 2 has been unprecedented," said Chris Poad, Director of Video Games at Amazon.co.uk Ltd.
"We have seen demand increase rapidly as the release date has drawn closer and it is now benefitting from over 50% more pre-orders than we saw for Grand Theft Auto 4. "That is an incredible achievement."